Did you miss me??? Got Scraps? Not sure where the last week went to! Holy smokes it just FLEW by. My kids will be back in school soon so we are enjoying a nice week together! 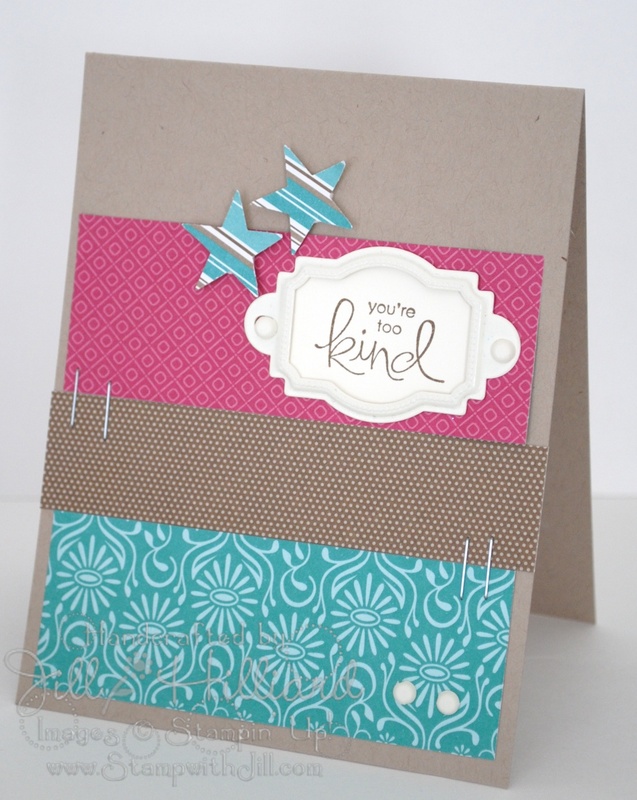 Here is a super easy and clean and simple card and a great way to use some scraps. Accessories: ruffled coral ribbon and designer printed brads. I wheeled, then cut the baby tees. 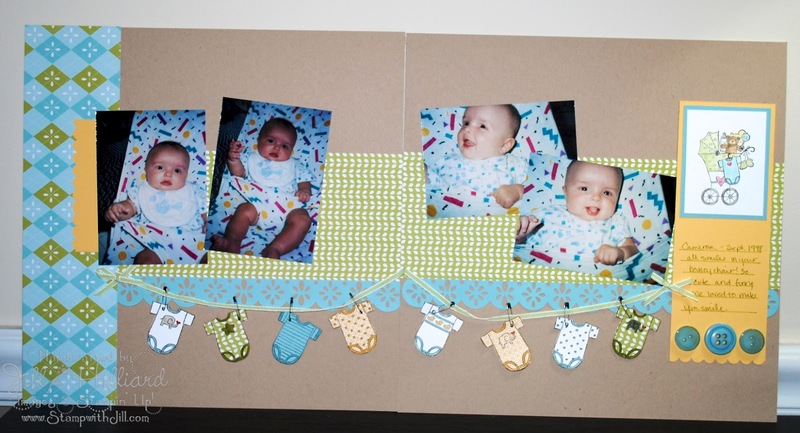 Then used the vintage trinkets to pin them to the “line” which is 1/8″ taffeta. Cased this right from the big catalog! 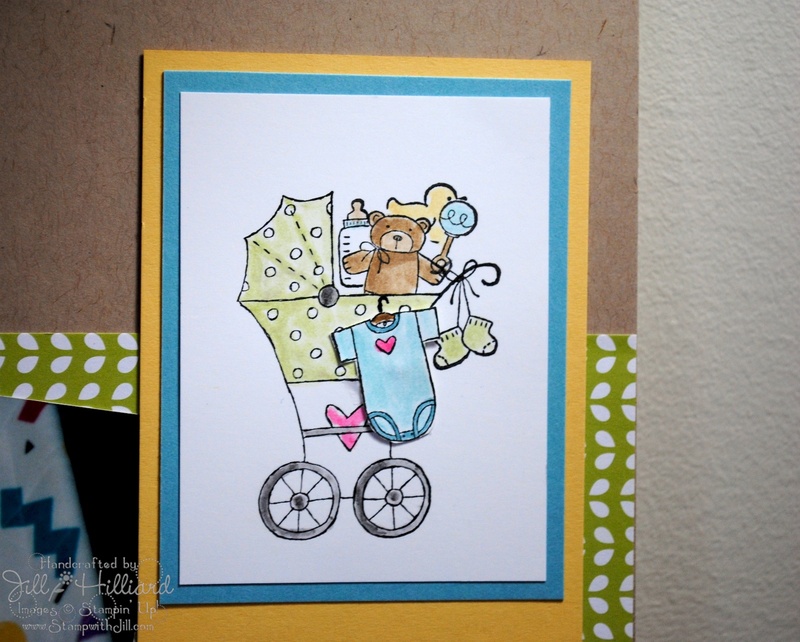 This week its my challenge over at the Shabby Tea Room. 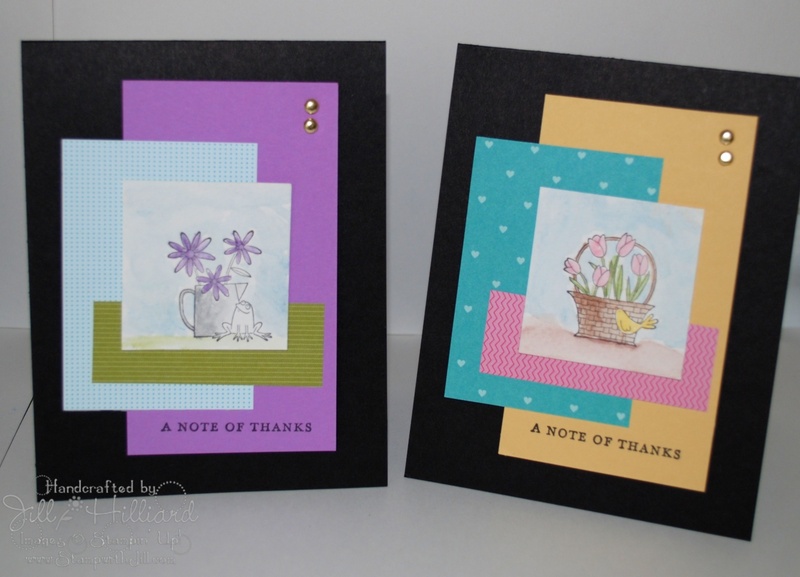 Week #3 – “Let’s Get Scrappy” – create a project using scraps. 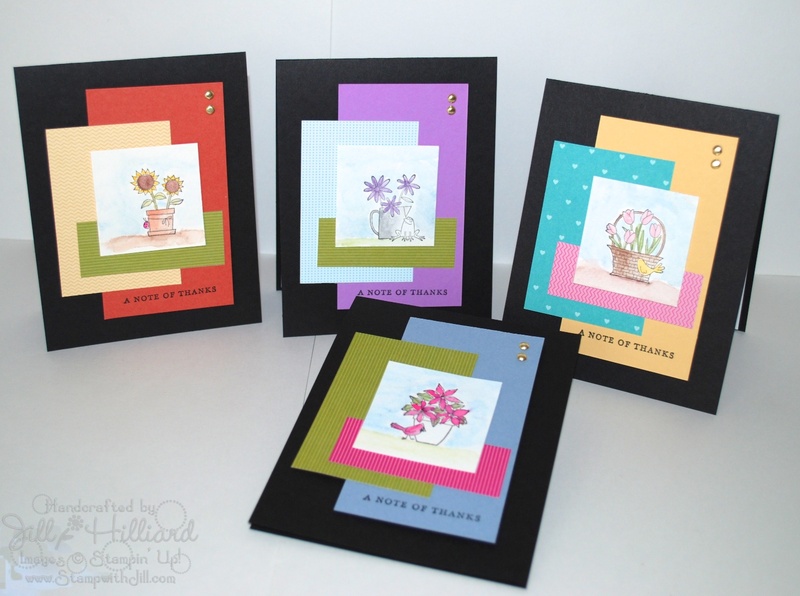 Here we have some Good Neighbor sale-a-bration dsp scraps, card stock and watercolor paper scraps too! 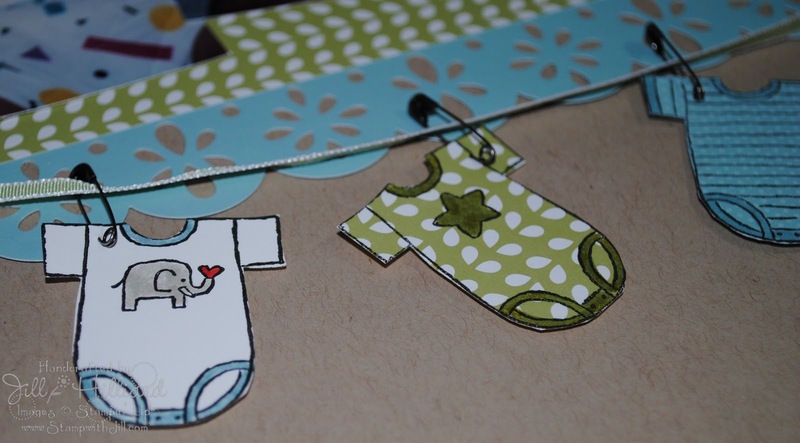 Going Green Paper crafting tip #2: Be environmentally responsible and SAVE PAPER! I can hear you… “I already do that!” you are saying. Um– I am the queen of saving EVERY last scrap– I may need it for that project. 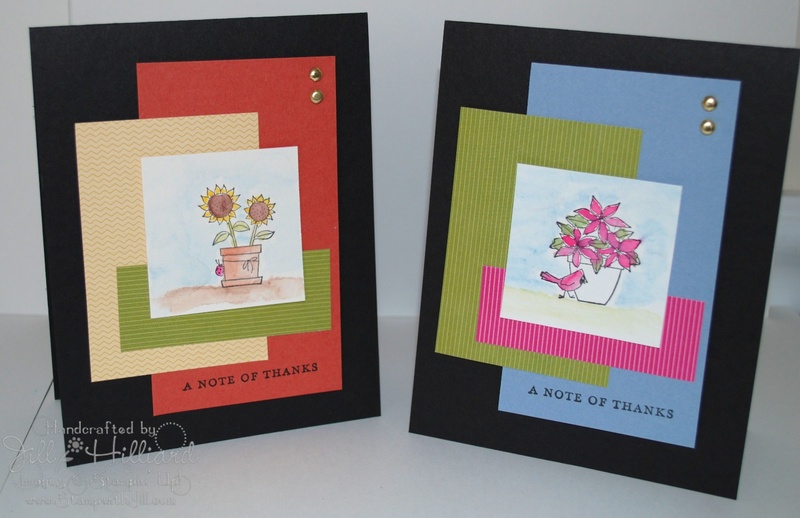 So in light of saving paper…Here are 2 FABULOUS and CUTE cards that use scraps as the base for the Design. 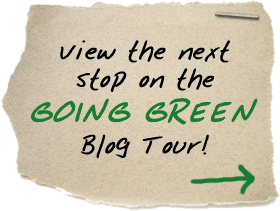 Now On to the Next Stop! Enjoy! I embellished with tiny piece of scrap. the manets on the back are self adhesive business cards. I skipped the business card and just stuck them to the cardboard. 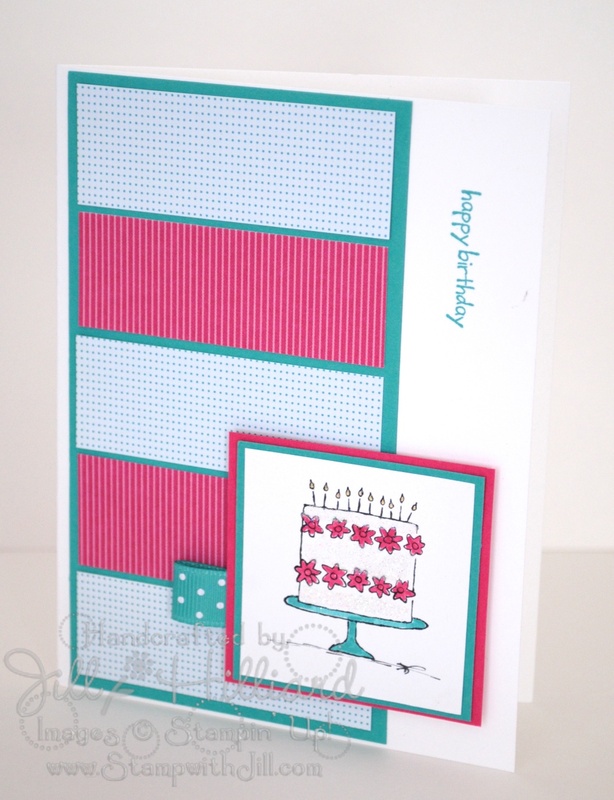 Some Matching card stock and some texturz and you have a great card! 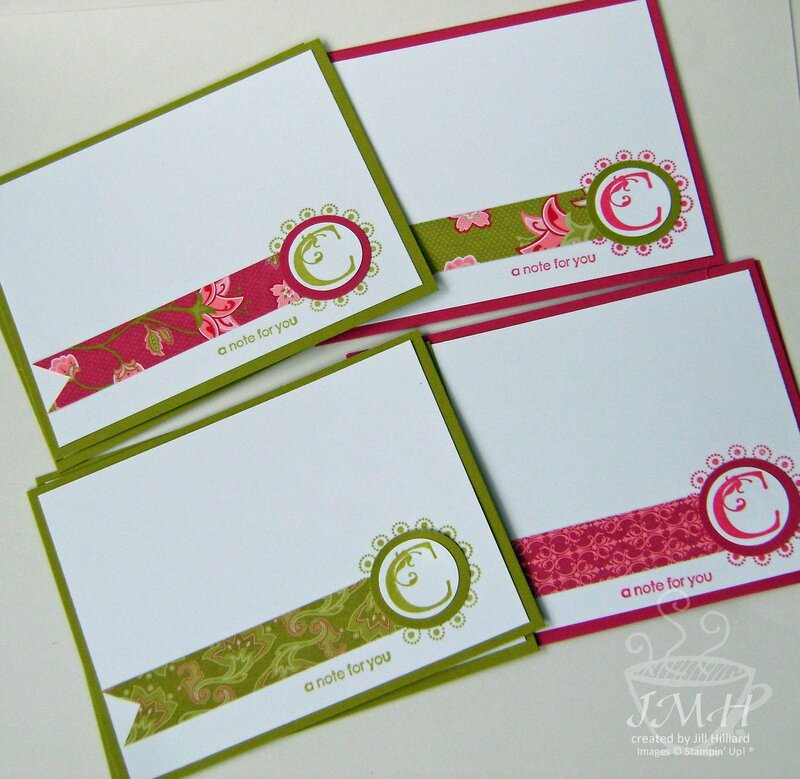 All supplies are stampin Up! A little rose red DSP, crochet Fleurette and a sponge and markers. How cute are these. 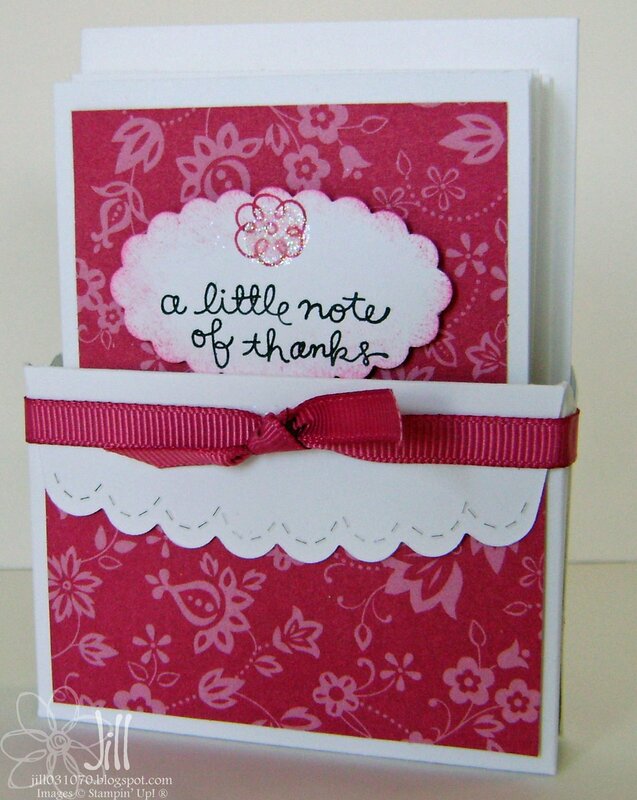 For the box I used 2 scallop envelope die cuts. I adhered the edges as far apart as possible so the cards would fit. Its teacher Appreciation week- these are perfect!!! 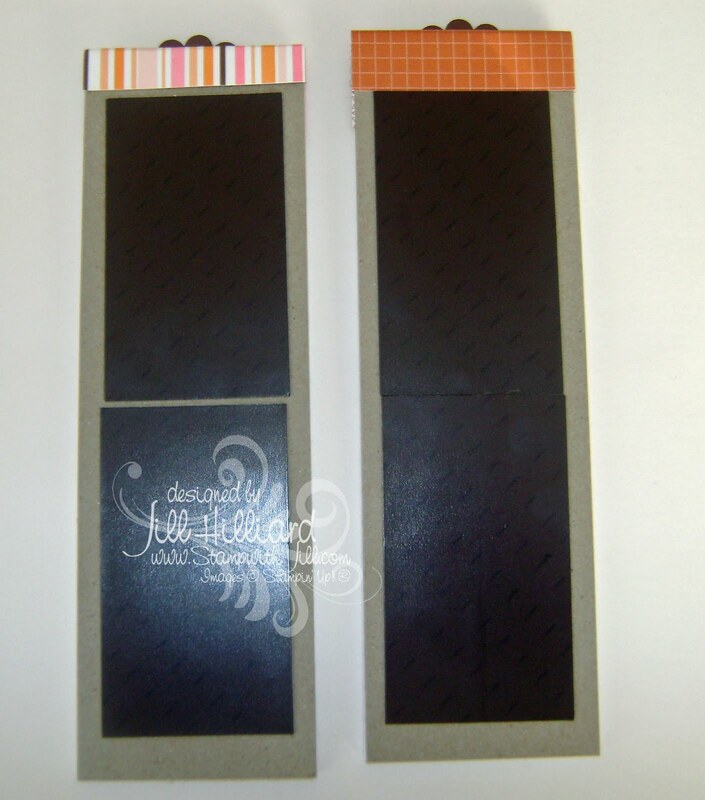 I made this set of note cards for my Hostess this past weekend. The card box is cased from one that Lauren Meader made. I did not purchase her template- I was able to figure the box out by looking at it. Can’t say I was that lucky with any of her other templates. She is super talented. 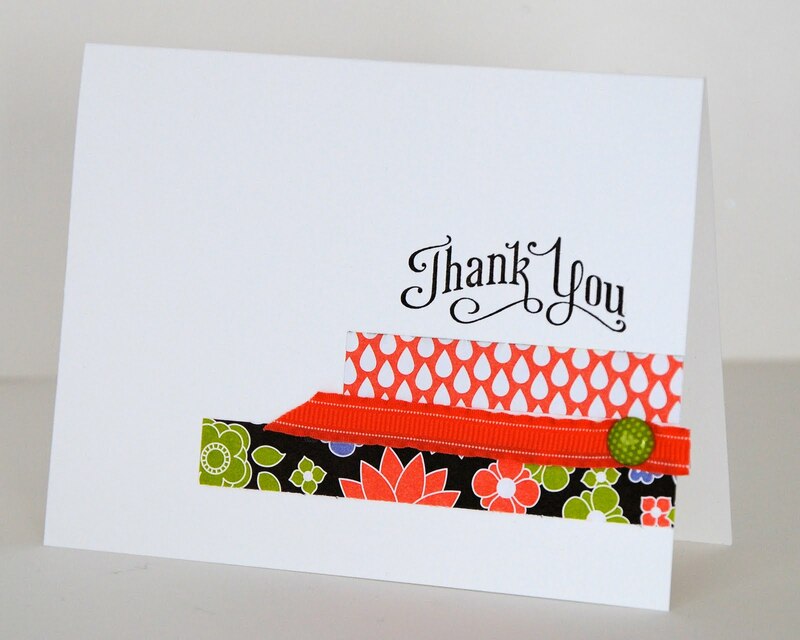 these are flat note cards. each base is 4-1/4 x 5-1/2. the whisper white layer is just a bit smaller at 4 x 5-1/4. I took some scraps I had a TON of long skinny strips. I trimmed the DSP to 5″ x 3/4″ and made these: there are 2 of each. I cased these from Michelle Wooderson. You can see her’s HERE. 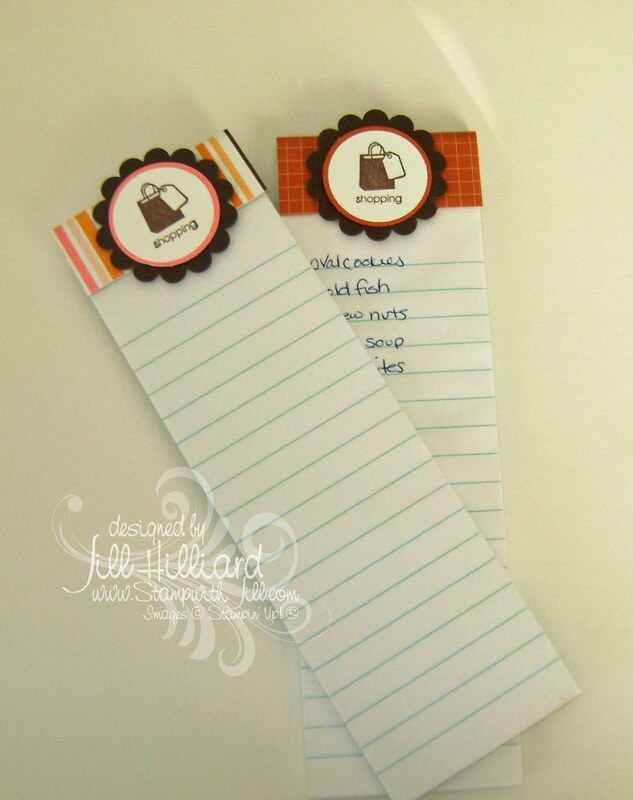 these are a great way to use of those strips of Designer paper that you always think you will use but never do. Hmmmm I am thinking I may need to make this a category. Everyone’s Got Scraps!! NOTE: I lost my creativity a week or so ago and the only way I have been able to create anything at all is to case. (copy and selectively edit) I hope you don’t mind. I have a few new items coming. thank goodness my creativity is back and flowing again!